It's the end of the year so it's only right that I give you a round up of what I've been loving, not only this month, but this whole year! I didn't really pick up a lot new out this year, but I definitely picked up some tried and tested firm favourites. Rimmel Lasting Finish Kate Lipstick 107 | I know there has been hype about his for soooooo many years and I've just never really felt the need to try it myself. Although I do love my lippys especially my bright shades and darks, I never really go for the true red lip. But 2015 was the year of the red for me and I finally felt the need to pick up 107. Why did I wait so long!! This is so gorgeous and so complimenting, I can't believe I waited so long. I love this because it's a bit of a more berry red rather than a true bright red lip. I love this shade so much I've been wearing it all the time. I've always considered myself to not have the whitest of teeth so some lippys can really accentuate this, but personally I find 107 to actually brighten my teeth. If like me you've heard everyone going on about this lipstick for years but never really bought into it, then go, you must you'll love it! 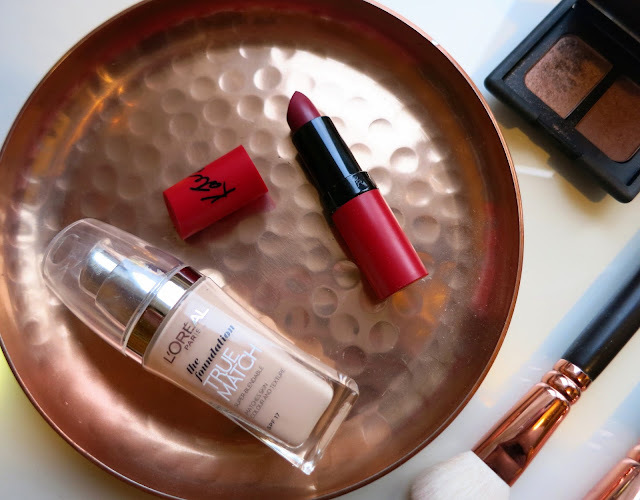 L'oréal True Match foundation | I'm not really a massive lover of switching up foundation too much. Once I find one I like, I find it very hard to open up to the idea of trying different ones. but this year I ventured out and bought the L'oréal True Match Foundation. 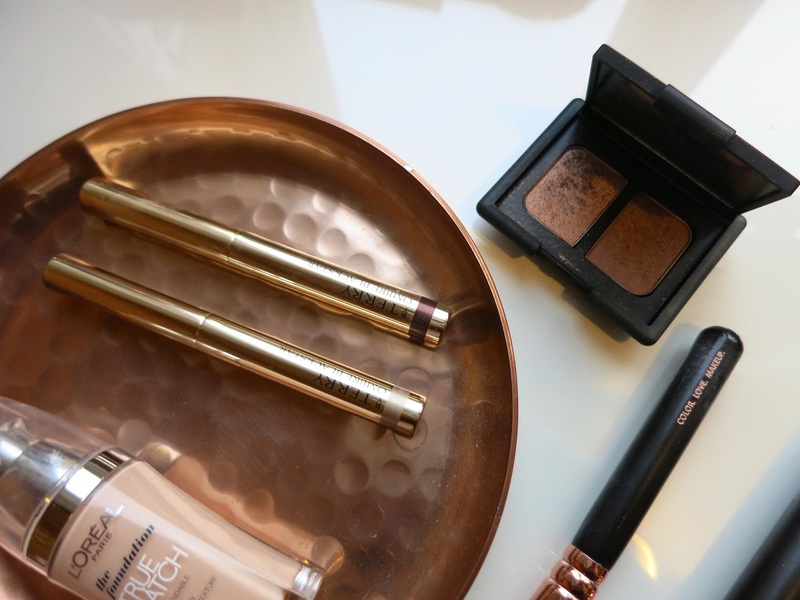 I was very impressed with the shade range, especially for a high street foundation. To me, finding the perfect shade is a massive must in foundation. I also loved how silky and smooth this is, it's great for every day as it's not too heavy or cakey, perfect for a natural finish. Zoeva 102 Silk Finish Foundation Brush | This year I also picked up the Rose Golden Luxury Zoeva Brush Set after so much hype. For me they were definitely worth the hype you can see a more in depth review here on all the brushes. I've especially loved the foundation brush, it's so effortless and easy to use as it has quite a big surface compared to my Real Techniques Expert Face Bush (another favourite) this makes it so much quicker to apply my foundation and of course the brush is gorgeous! Zoeva 127 Luxe Sheer Cheek Brush | This was the brush I was most excited to try, it's so pretty! I love this tapered shape. 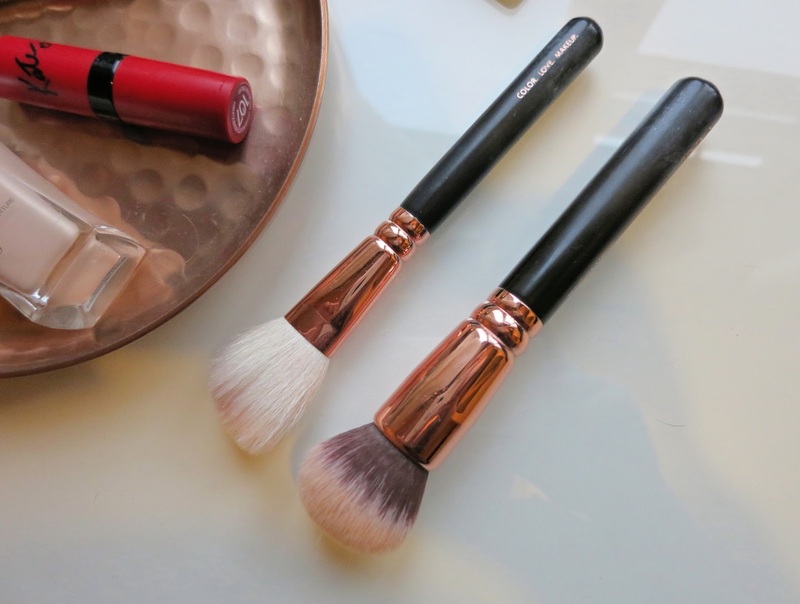 This is the perfect brush for blush as it really fits the apple of your cheek. This will also be great for contouring and highlighting. By Terry Ombre Blackstar Cream Eyeshadow | I also found myself picking up a few of these gorgeous By Terry Ombre Blackstar Cream Eyeshadow Sticks this year. Aren't they one of the most gorgeous things you've ever seen!? 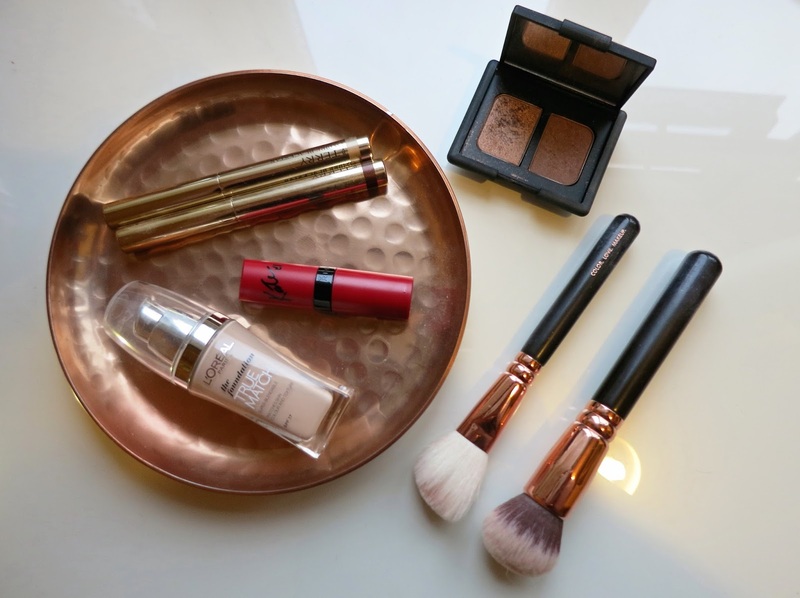 have a more in depth review here of a few of the shades but in short - they are amazing. I was very impressed by the staying power when I first swatched this on my hard, I couldn't get it off for the life of me! Of course the cream stick is very shimmery and beautiful and they are so easy to apply. So nice to have in the collection! NARS Eyeshadow Duo - Kalahari | This beautiful duo has also had so many good words said about it over the last couple of years. I just knew I would love this bronzey duo but every time I've tried to buy this I've had the worst luck. Every store I go to has been out of stock so finally I ordered it online. I'm a massive NARS fan anyway and this was the first time I'd tried their shadows and I'm very impressed (I just knew I would be) of course I chose Kalahari, beautiful shimmering bronzey duo - immediately fell in love. I've been using this so much this year, a bronze eye is my go to for any occasion. I love to use this either way around with the chocolatey matte as base and the shimmering golden bronze in the crease and also the other way round is great too. If you're venturing into the NARS duos, Kalahari is a great start. So that's it, my favourite finds of 2015. I may have started the first half of the year not blogging, but I still tried and loved some amazing products this year. I've finished the year feeling very positive about the next. I need to try a by terry ombre blackstar in 2016 I've only heard good things about them! Just bought the Zoeva Rose gold set can't wait to receive it! Some good favourites love Nars eyeshadows!